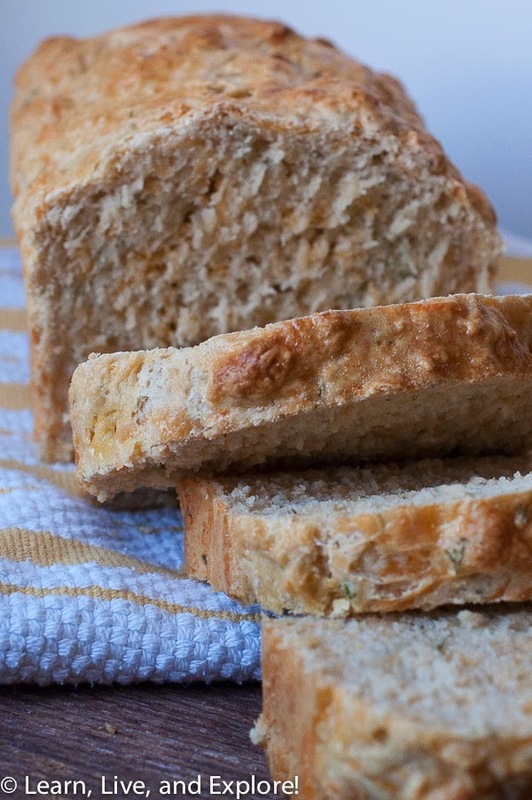 Dill and Cheddar Beer Bread ~ Learn, Live, and Explore! A friend of mine sent me a present from Colorado that was a large beer bottle filled with a mix for beer bread - just add the beer. 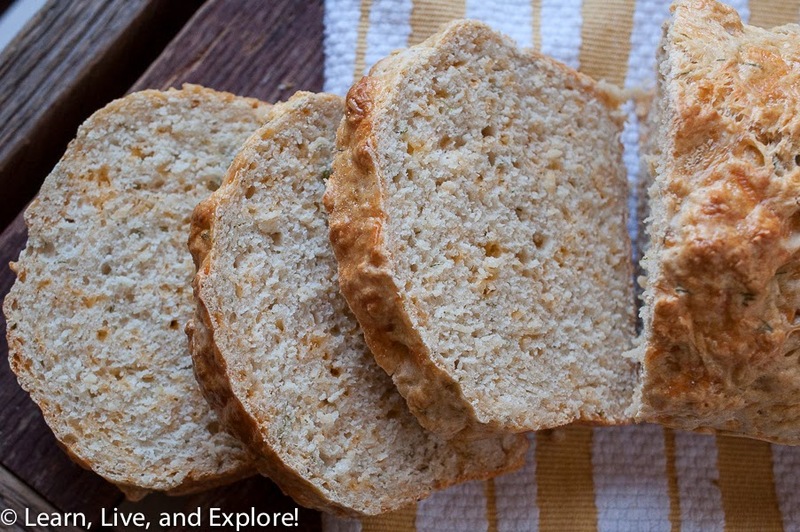 This concept of beer bread had me intrigued, so I did a little exploring on the internet and decided I would try out a recipe from Farm Girl Fare. After many years of my friends trying to get me away from Bud Light, I have finally figured out that my craft beer of choice when going out tends to be an IPA, so I thought I'd use one of the bottles I had in my fridge. IPA is a very bitter beer, and while I think it's good to drink, my IPA-based beer bread came out a little bitter as well and didn't translate as well to food. A good salty butter, though, improved the taste. I think the next time I make this recipe, I will try it with something richer like a nut brown ale or maybe even a lager, so there's less beer taste. Overall, not bad and the recipe for this homemade bread could not be any easier. Combine the flour, sugar, baking powder, salt, dill, and cheddar in a large mixing bowl. Slowly stir in the beer and mix just until combined. The batter will be thick. Spread in a greased 8-inch loaf pan, brush with the egg glaze and bake until golden brown and a toothpick stuck in the center comes out clean, about 45 minutes.